New York City has a system of supplying drinking water to its residents and it is done through the iconic water tanks we see fixed on the roofs of many of its buildings. The first design was implemented since almost a 100 years ago, and yet a lot about the function and design of the tank has not been changed. This has led to extreme health concerns from contaminated sources present in unchecked tanks. Bacterias such as E.Coli have been found in such tanks, that have been used as tests for possible viruses spreak through pollution. To pump water through high rise buildings in the increasingly dynamic concrete jungle New York City is, a rough estimate of about 20,000 water tanks are installed throughout the entire city. This means that the higher the buildings get, some form of pressure needs to be applied to pump water through to people’s homes. 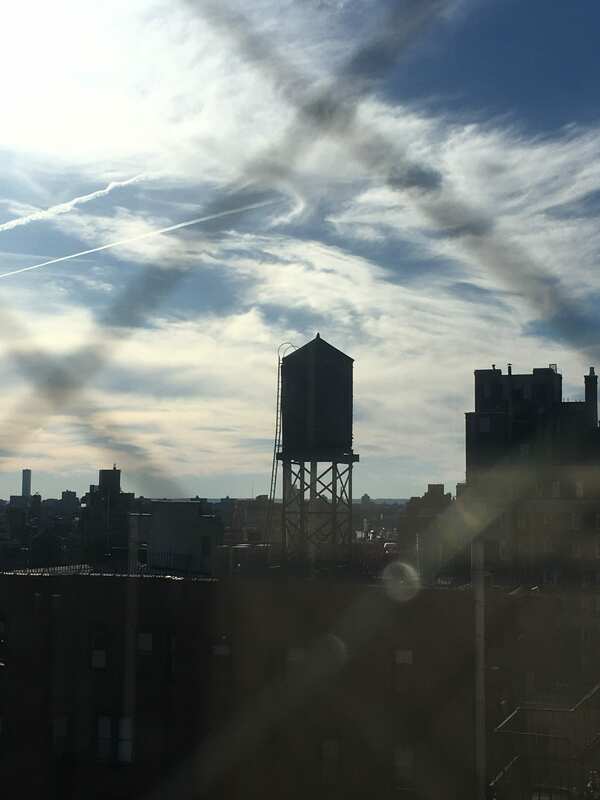 These water tanks are a primary source of water to many of New York’s residents, and yet they are starting point for a range of potentially toxic bacteria that may lead to a harmful consumption for the thousands drinking from it every day. I emailed City and State New York, on a recent article they published on the 28th of May inquiring about the information given. The tanks have been checked for health risks and the risks have not been taken into consideration time and time again. 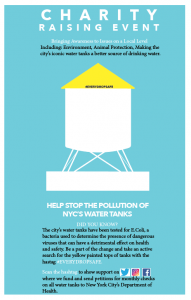 The question to be asked is, in today’s technologically advanced world where the quality and quantity of water is becoming increasingly a high level of safety and security – why is it that such an old design system of pumping water to the residents of New York City through water tanks still being implemented despite the obvious risks and inherent dangers involved with its use? The impact of its threats needs to be reached out to the residents being affected by it. Though the world is becoming more efficient and reliant on technology, the concept of using the water tanks hasn’t yet been improvised or changed. 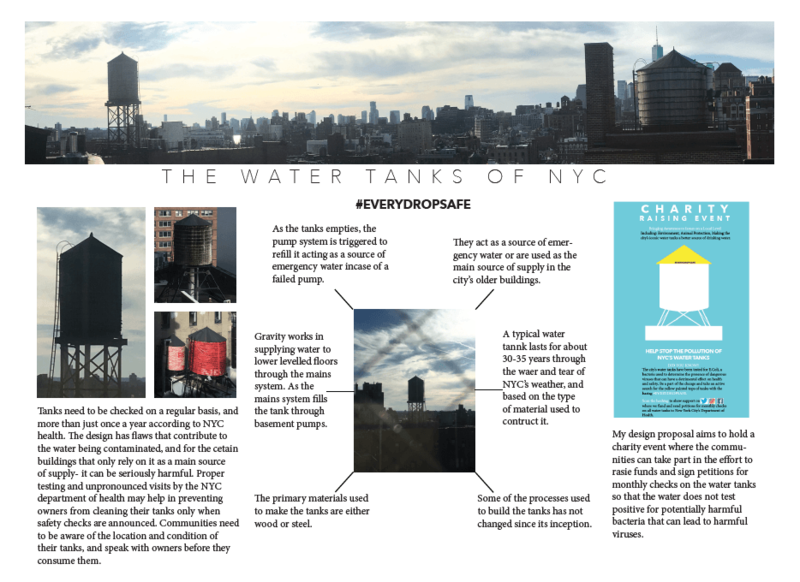 My design proposal aims to hold a charity event where the communities can take part in the effort to rasie funds and sign petitions for monthly checks on the water tanks so that the water does not test positive for potentially harmful bacteria that can lead to harmful viruses.